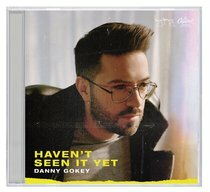 This brand new studio album speaks of the promises yet to come, and encourages listeners to "push through" so they can see what God has planned for their lives. Featuring guest appearances from Mandisa and Michael W. Smith and encouraging anthems such as "No Pressure" and "Wanted,"Haven't Seen It Yet gives hope to those who need to hear of God's love and new mercies. In addition, "New Day" and "Fighter" are the kind of upbeat pop songs that fans have come to know and love him for. About "Haven't Seen It Yet"